Whether you're driving in and out of the City or spending your time cruising through local townships, Johnson Dodge Chrysler Jeep Ram Budd Lake in Budd Lake, New Jersey is here to help you lease a Chrysler with a hassle free leasing experience. A Chrysler lease gets you into a new Chrysler model year after year, and helps you take advantage of more flexible payment options that are often lower than buying a vehicle outright. No matter your reason to lease, contact our sales team today to learn more about leasing a Chrysler! 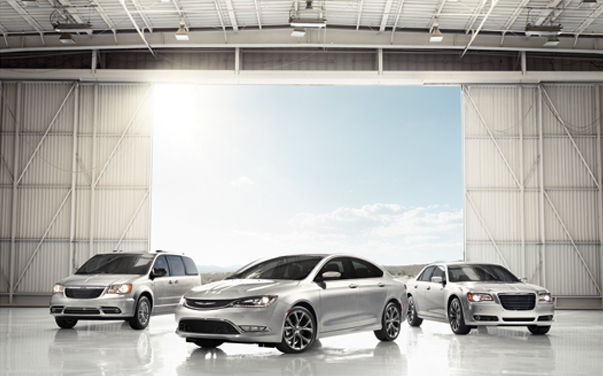 Lower monthly payments with a Chrysler lease also expands your level of access to our American-made Chrysler lineup. Johnson Dodge Chrysler Jeep Ram Budd Lake in Budd Lake, NJ has the latest and greatest sedans like the Chrysler 300 a modern car suited to upgrade your morning commute for years to come. We also have the Chrysler Pacifica and Chrysler Pacifica Hybrid, the ultimate minivan equipped with the latest in safety and entertainment to give piece of mind to the entire family during your next road trip. You can schedule a test drive in these vehicles today by reaching out to our showroom today. Chrysler financing doesn't have to be a pain with a Chrysler lease from Johnson Dodge Chrysler Jeep Ram Budd Lake in Budd Lake, NJ. Our seasoned auto financing team will work with you and your credit history, accurately assess any trade-in value you have, and ensure you know your monthly payments before you sign the dotted line. Get the leasing process started by contacting our Budd Lake, NJ location today!